Health authorities in England said on Friday last that they support a plan to double to 26,000 the number of participants in an HIV prevention pill trial, ahead of a potential national roll-out. Demand for pre-exposure prophylaxis (PrEP) – a once-daily pill that is highly protective against HIV – has exceeded expectations, said National Health Service (NHS) England, which launched a three-year trial of the drug in 2017. “The trial researchers have submitted a case for increasing trial places”, said John Stewart, director of specialised commissioning at NHS England. “NHS England will play its part in delivering on this recommendation by committing to fund additional places”. 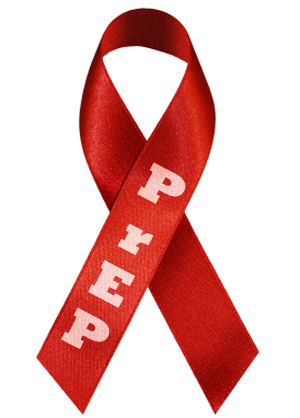 Studies show that PrEP […] can cut by 99 percent the transmission rate of the human immunodeficiency virus (HIV) that causes AIDS. HIV transmission rates among gay and bisexual men fell by almost a third, in the Australian state of New South Wales, in two years, following the wide-scale introduction of PrEP, sparking calls for other health authorities to follow suit. About 35 million people have died of AIDS since the start of the epidemic in the 1980s and almost 160,000 people in Europe were diagnosed with HIV in 2017, according to the World Health Organization. More than 10,000 people have already enrolled in the PrEP trial, NHS England said. Stewart said boosting the number of participants would help address questions about the need for PrEP among women and other groups. “This will help ensure the learning from the trial is robust enough to fully inform the planning of a national PrEP programme in partnership with local authorities for the future, as well as protecting more people from HIV right now”, he said. No date has been set for the potential national roll-out. Campaigners in Britain welcomed the proposals. Many sites recruiting to the PrEP trial have, in recent weeks, turned away gay and bisexual men, due to lack of places, with reports that some have subsequently acquired HIV, said Matthew Hodson, head of NAM, an HIV/AIDS charity. “If we are serious about halting new HIV infections in this country we should ensure that all people at high risk of acquiring HIV should be aware of PrEP, should be offered it and should be able to access it if they so choose”, he said. “Preparing for a full national programme of PrEP on the NHS is vital”.